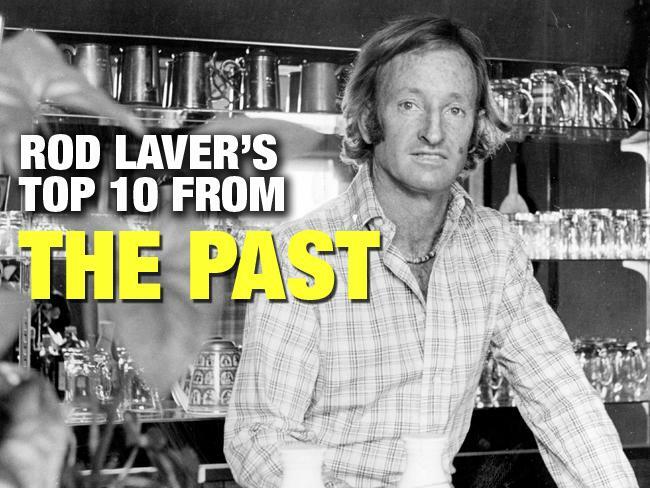 Who do you think the great Rod Laver believes are the Top 10 Players of the Past and Present? *This Blog is dedicated to my late brother Rama (1965-2011). Reprise: Our recent Holiday Podcast on Tennis! This Blog was started in 2009, and presents free information, no-charge. It is meant to comment on and promote tennis to the public community. No infringement of copyright is intended. A "fair use" exception to copyright is claimed. "Fair use" exception is a permissible limited use of images, photos, videos and articles with proper citation. Educational and informational purpose without charge, such as here, greatly argues in favor of "fair use". See: Fair Use Doctrine. As of 2016, a limited number of Google Ads helps to defray a small part of the cost of my time to maintain this blog site. Please contact us with any comments, and they will be reviewed carefully. Thank you.